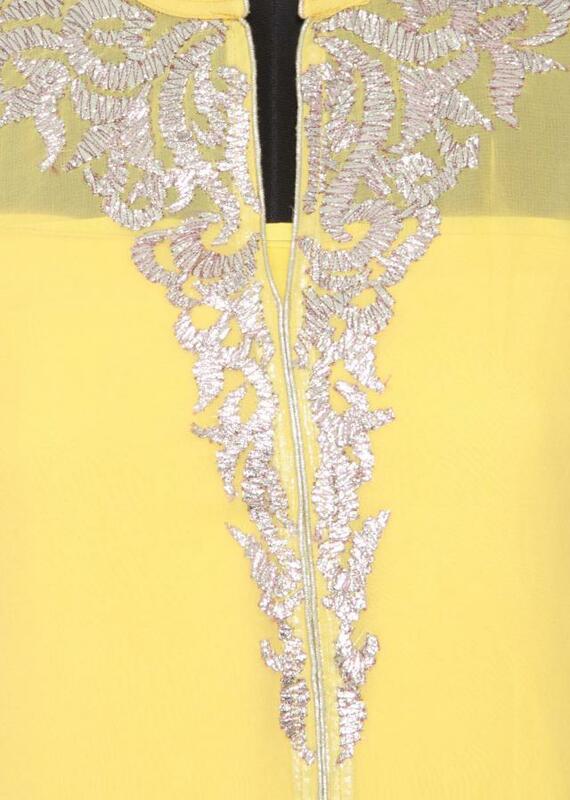 Featuring a maize yellow georgette straight fit semi-stitched salwar-kameez embellished in gotta patti. 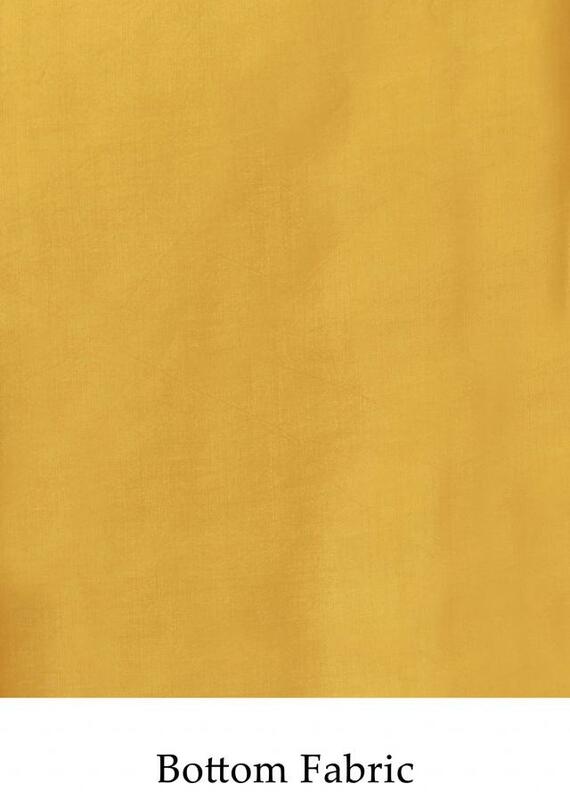 Neckline is in maize yellow chinese collar with silver lining. The border is enhanced in gold embossed zari and silver zari border. 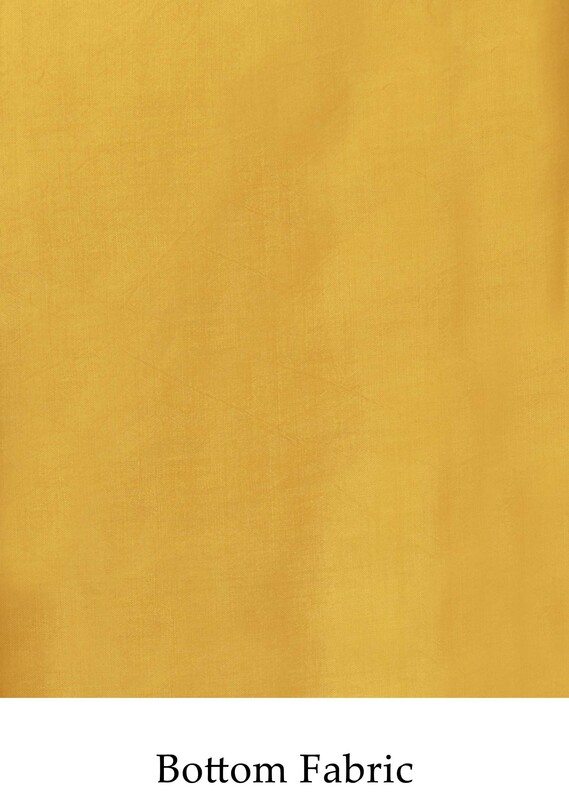 Dupatta is in maize tellow georgette with silver zari border.